In the first part of this blog I will describe 3 techniques to help you to cope when a relationship breaks up. 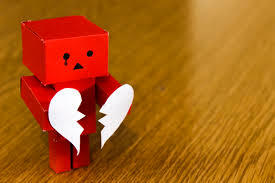 When a relationship ends it can be devastating, especially if you did not anticipate or want the ending. You can find yourself completely overwhelmed by feelings of rejection, anger, anxiety, loneliness and hopelessness about the future. Coping with the end of an important relationship is a process that we must go through, this process has been designed, in a way, by nature, to enable us to adapt to the loss, so you are not going to be able to skip it. However, the following 3 steps will ease your path through the difficult months that follow a break up. When a relationship ends this loss triggers the experience of a number of well documented stages (traditionally associated with grief). These include Denial, Anger, Anxiety, Bargaining (e.g. if only I had done things differently it would have worked out differently) and Depression. At some point in the months following your break up you will experience all of these stages before reaching the final stage, Acceptance, where you can move on with your life and feel able to make a new relationship. Each one of these stages is normal, and indeed necessary for your emotional health and wellbeing and each serves an important function in getting you to a place where you can live comfortably and happily without the person and relationship you have lost. So, trust the process that nature has designed for you, try to allow it to take its course, don’t panic about the uncomfortable feelings you are experiencing, they are not a sign that something is wrong, just that your mind is trying to adjust to this new reality. Most importantly, don’t try and truncate the process by rushing into making a new relationship (see No 7 for more on this). For more information about this process and these stage see our video on grief counselling. It is human nature when we are faced with an uncertain future to catastrophise, basically we try to create certainty by making the worst case scenario our reality e.g. I am going to be alone forever. Recognise when you are doing this and look at the evidence for and against the prediction and create a more accurate and helpful alternative thought e.g. my relationship with my ex ended because we had different ideas about life, once I have got used to this idea I will have the opportunity to meet someone who shares my ideas and will want to share my life with me. To help you to focus on the present, the future and how you can live a fulfilling life without your ex, pour your energy into your existing relationships, whether these are with your children, friends or family. Our relationships enrich our lives and different relationships offer us different things. One relationship can’t meet all our needs and when a significant relationship ends this is a good opportunity to refocus ourselves and consider the value of the other people in our lives. In the second part of this blog I will describe a further 5 techniques to help you to cope with a relationship breakup.